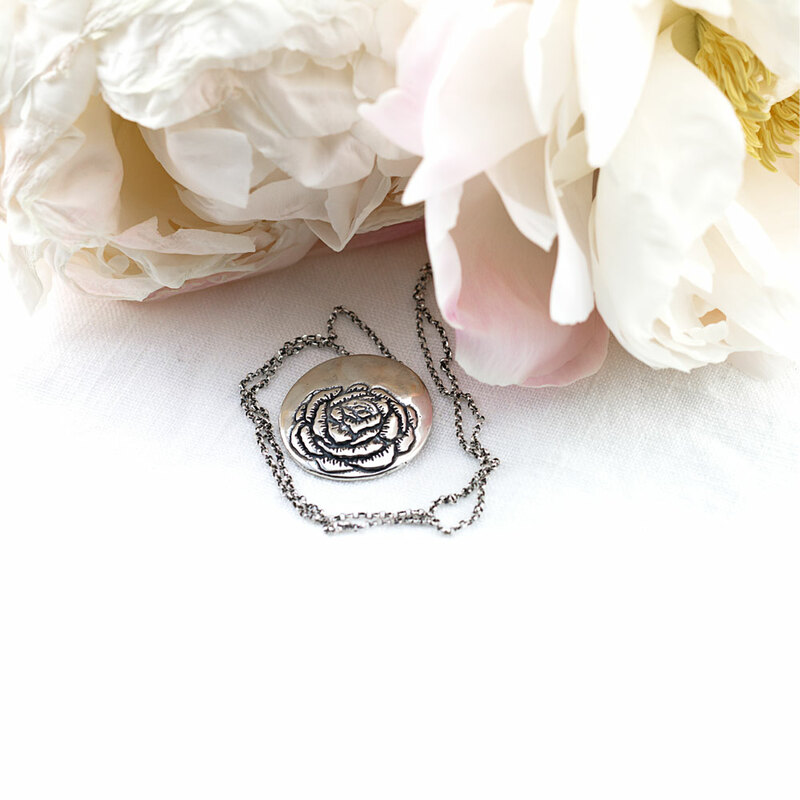 The Peony Flower Necklace is simply captivating with its intricate sculptural details. 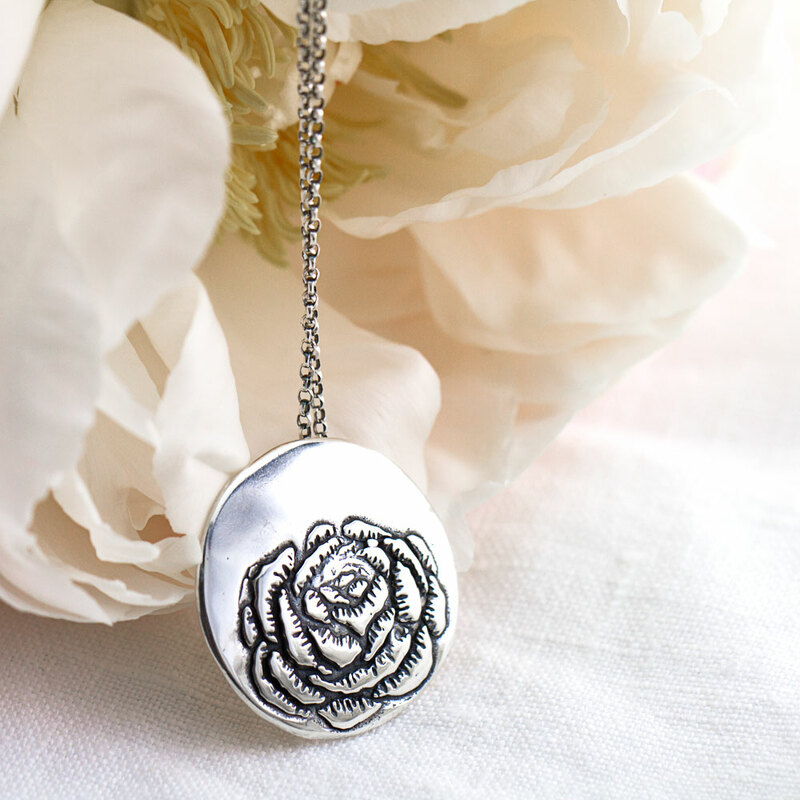 This gorgeous design features a single Peony in full bloom for a truly memorable necklace. 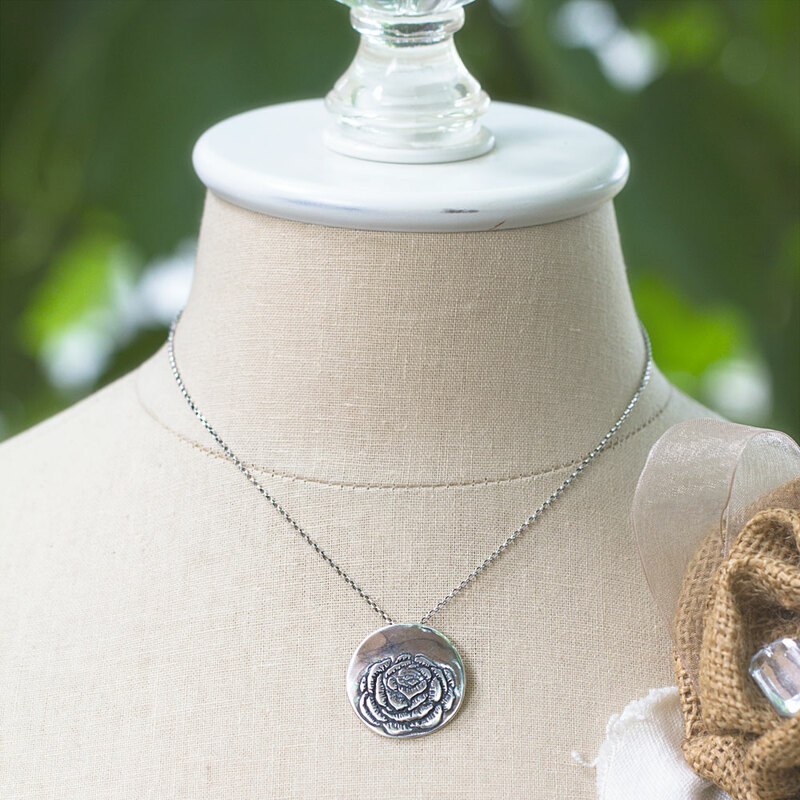 First, I made the Peony flower pendant using my own technique described here. The pendant is lost wax cast and solid sterling silver. 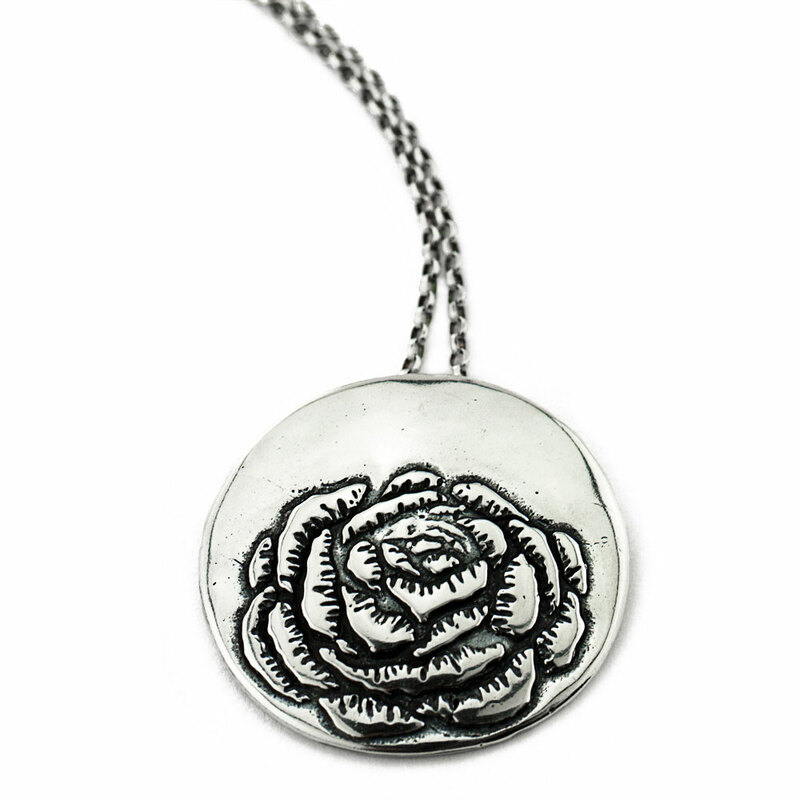 The Peony flower pendant has been oxidized and then burnished for a high shine. Finally, I oxidized and polished a dainty sterling silver Rolo chain and then strung it on the pendant.